Industrial and warehouse properties in Poland are becoming increasingly appealing to international buyers, with total volume of investment transactions in this sector growing on average by 20% in the last three years, according to the latest research by international real estate advisor Savills. 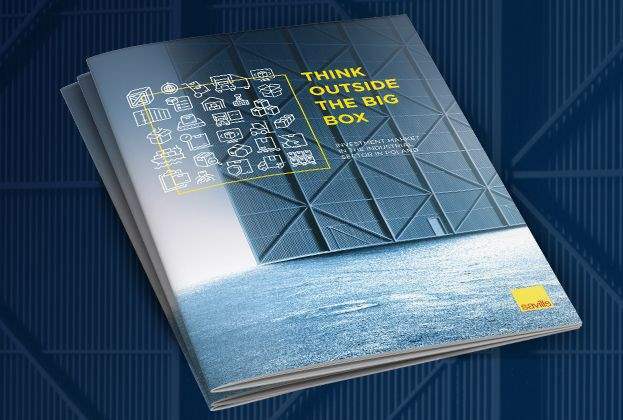 As stated in "Think outside the Big Box: Investment market in the industrial sector in Poland" report prepared by Savills, the logistics sector accounted for a record EUR 41 billion of capital deployed in the commercial real estate in 2017 across Europe, which equated to a fifth of all investment. In Poland, last year was the third consecutive year of systematic growth in volume of transacted industrial properties. As at the end of H1 2018, the volume of industrial transactions amounted to EUR 337.8 million, which was the best result recorded ever by this sector in Poland in the first six months of the year. Industrial assets in Poland may also be on investors radars due to the fact that Poland is the first country in the world in almost a decade to be awarded an upgrade to developed market status by the global index provider FTSE Russell. Following the upgrade, from September 2018, Poland joined the group of 25 most developed economies of the world including USA, UK, Germany, France, Japan and Australia. Poland succeeds in taking over a large part of production from Western Europe. In the first half of 2018 total exports amounted to EUR 107.2 million, reflecting a growth of 5.0% year-on-year. Following a very active 2017, one of the strongest years on the property investment market in Europe and the strongest in Poland to date, the first half of 2018 showed some slowdown in investments across all commercial sectors Europe-wide, while the flow of money into Poland, the dominant investment market in CEE, remained robust. Investment activity in Poland remains at a high level. Last year ended with a record volume of transactions of approx. EUR 5.03 billion, an almost 11% growth year-on-year and 2018 is expected to bring another record volume of transactions, likely to exceed the EUR 6 billion threshold. As far as top investors for industrial assets in Poland are concerned, the market has been typically dominated by core German funds (such as DEKA, GLL) and US buyers (Invesco, Hines, Hillwood, CBRE GI). Since 2015 the spectrum of buyers has widened to include Asian sovereign wealth (Chinese CIC, Malaysian EPF, Singaporean GIC), investment management platforms (Korean Vestas Investment Management) and private wealth. More recently, in July 2018 South African Redefine (to date active in retail and office sectors) made its first acquisition in the industrial sector in Poland acquiring nine assets from Panattoni for approx. EUR 200 million and announced plans to grow their industrial portfolio by a further EUR 800 million. According to Savills, the warehouse and industrial market in Poland is experiencing its best period in history. Whilst new supply is arriving at a rapid pace, it is still not enough to satisfy even stronger demand. At the end of H1 2018 total stock of modern warehouse space in Poland stood at 14.2 million sq m, reflecting a significant growth of ca. 42% over the last two years. Gross demand in the first half of 2018 reached a record-breaking 2.2 million sq m, creating supporting conditions for some rental growth. Currently the highest rents are recorded in Warsaw’s in-town locations (EUR 4.10 - 5.25 per sq m/month). Prime warehouse yields in Poland have sharpened by approx. 25 bps year-on-year and range from approx. 5.15% for ultra-core single-let assets with long term leases let to such a strong covenant as Amazon, to approx. 6.40-6.75% for modern multi-let logistics parks located in major hubs across Poland. The sector is clearly benefitting from the amounts of warehouse space required to service online shoppers. Forrester is forecasting that online retail across Europe will account for 14% of retail by 2022. Retail e-commerce sales in Poland is expected to exceed PLN 40 billion this year, reflecting a share of ca. 6% in total retail sales. The average annual growth rate of the e-commerce market in Poland since 2013 has been 15% p.a. Coupled with research from Prologis who estimate that each EUR 1 billion of additional online sales generates around 235 000 sq m of new logistics demand, this translates to a need for extra 45 million sq m of warehouse space in Europe over the next five years. There are also strong arguments for tenants to locate their logistics operations in Poland. The Polish network of highways and express roads has been dynamically growing. Until 2025 the road network is expected to grow to 2,000 km of highways and 5,500 km of express roads. Development costs are rising, but still are significantly lower in Poland than in western markets. Availability of workforce used to be one of Poland’s strongest assets in terms of occupiers’ perspective. This may be changing, as unemployment is now the third lowest among the EU countries (3.5%). Nevertheless, Poland is still competitive in terms of employment costs.